Oak Brook, IL (March 27, 2014 ) Millennium Trust Company, a leading financial services company offering niche alternative asset custody solutions to institutions, advisors and individuals, announced today that investors seeking to invest in Prosper’s peer-to-peer loans using self-directed IRAs (IRAs) will now be able to select Millennium Trust Company as their qualified IRA custodian. Millennium Trust serves a wide range of clients, from Fortune 500 companies to independent financial advisors and individual investors. They are committed to creating innovative solutions for expert alternative asset custody while providing best-in-class service. Solutions include custody for private funds as well as for investments in alternative assets through IRAs. "Millennium Trust has a deep understanding of the P2P industry and has been providing their private fund customer solution to Prosper's institutional investors for years," said Ron Suber, President of Prosper Marketplace. 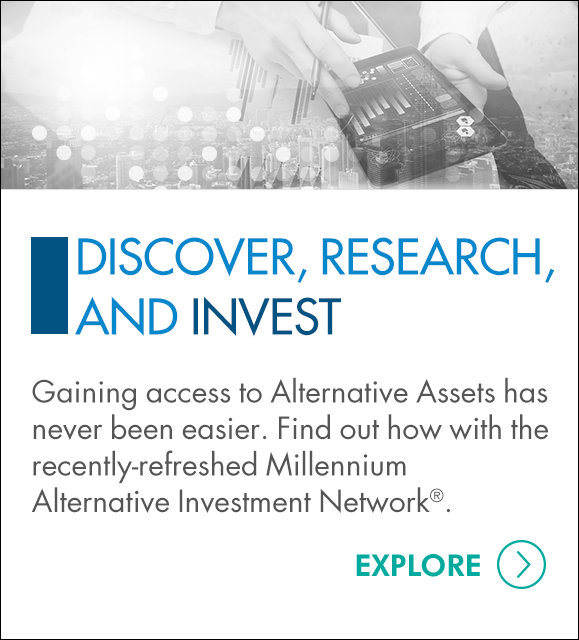 "We're very pleased that Prosper's individual investors who want to use IRAs to invest in the peer-to-peer loans will now also have access to Millennium's custody expertise.". IRAs offer investors options to further diversify their retirement holdings by allowing investments in a wide range of both traditional and alternative assets. Investors can invest in Prosper loans using tax-advantaged Millennium Trust IRA accounts like: Traditional, Roth, SEP and Simple IRAs. In order to maintain an IRA’s tax-advantaged status, all funds must flow through and investments be held by a qualified IRA custodian. At the client’s direction, Millennium Trust establishes the IRA and initiates the transfer or rollover of assets to fund the account, purchases or sells investments and provides required tax reporting. Millennium Trust Company is a leading financial services company offering niche alternative custody solutions to institutions, advisors and individuals. The firm serves as a complement to services offered by other custodians. Their innovative solutions include rollover solutions, alternative asset custody, private fund custody and advisor support solutions. Millennium Trust performs the duties of a directed custodian and, as such, does not perform due diligence on prospective investments, sponsors or service providers and does not sell investments or provide investment, tax or legal advice. Prosper Funding LLC (“Prosper”) owns a leading peer-to-peer financing platform to invest and borrow money (the "Prosper platform"). The Prosper platform connects people who want to invest money with people who want to borrow money. On the Prosper platform, borrowers list loan requests between $2,000 and $35,000, and retail and institutional lenders invest as little as $25 in each loan listing they select. Institutional investors can also elect to participate in the Whole Loan Program. Over the past six years, more than $690 million in personal loans have originated through the Prosper platform. The unsecured personal loans are used by Prosper borrowers for a variety of purposes including paying down high interest rate debt and helping with small business funding.